Long long ago, in the deep recesses of history, say, around the time that Bill Clinton was in office, the GMAT was not given on the computer at all! Back in those quaint old-fashioned days, people would actually go to a physical location and take a paper version of the GMAT. As incredible as that may seem now, there are a few people alive today who remember those archaic times — including yours truly! In fact, the GMAT has been given every year since 1954. In fact, for the first 18 years, it was called the “Admissions Test for Graduate Business Study” — in 1976, GMAC changed the name to the “Graduate Management Admissions Test”, i.e., the GMAT we know and love today. The name changed in 1976, but basically it has been the same test for over half a century, with largely the same question types. This means: GMAC has accumulated a donkey-load of “old” questions over the years. For example, the questions in the OG and in GMATPrep are retired questions that used to appear on the live test. Some of the older questions, retired a while ago, are now for sale as practice questions. 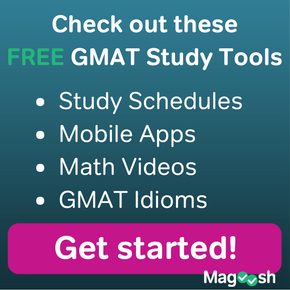 If you go to this site, you can buy up to three sets of old GMAT Paper Tests. Each set contains three complete GMATs. When you purchase these, they are shipped to you in pdf form. In other words, there would still 75 minutes of Math and 75 minutes of Verbal, but it would be broken up by question type. Of course, all of the questions are exceptionally high quality questions. Questions designed by the folks at GMAC themselves are going to be the highest quality questions available. All other practice questions by all other private companies strive to meet the high standard held by GMAC. 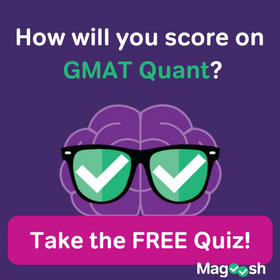 While you may find questions about as good, especially if you use MGMAT or Magoosh, you certainly will not find any question that are more GMAT-like than the questions that were on the GMAT itself. The only drawback of these is that they have the questions and the letter answers, but no explanations. GMAC produces wonderful questions, but they don’t shine on the explanations: the explanations in the OG are notoriously lackluster. This is why it’s important to have a prep source, such as Magoosh, that provides high quality explanations, so you can learn what you need to learn. You may already have too much material for your GMAT preparations, but if you have some extra time and want some additional practice, you could not find a better source of practice questions than these. If you already have used up all the questions in the GMAT OG, and you want more high quality practice questions, you simply could not make a better choice than the GMAT Paper Tests. If you need more GMAT practice questions, the questions in the GMAT Paper Tests get a five-star recommendation. 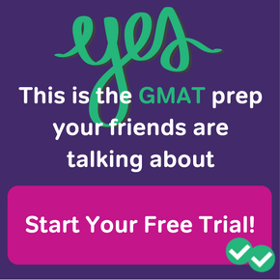 Do you have questions about the GMAT Paper Tests? Have you used them and would you like to share your experience of them? Please let us know in the comments section. 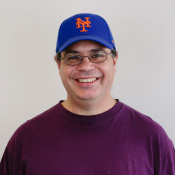 Mike, first of all thanks for the post, i currently enrolled at magoosh and i`m having great progress whit it, my question is: i know everybody said that we can not use the gmat paper test as a practice test because scoring is quite different, but do you know if have a correlation between a gmat paper test and CATs? thanks! Well, you shouldn’t consider the entire test as an equivalent of a practice test, because, yes, the format is too different. It’s not a practice test, but it is a fantastic source of individual practice questions. Think of it as a kind of “extension” of the Official Guide — not a practice test in its own right, but another source of individual practice questions, different from the questions in the OG, but just as good. Thanks for the post. Are questions of high quality? Asking this because on GMAT club the word is these paper tests are only for beginners. Please confirm. Hmm. Let’s separate two ideas here. The questions definitely are of high quality, in the sense that they are very clearly written with unambiguous answers. Are they also of advanced difficulty? By and large, no. In the days of the paper test, they were aiming for the mean difficulty of most people, so there were not many truly hard questions. Many of the questions are easy & medium. Nevertheless, every test contains a few thought-provoking math questions, and of course, for many people, verbal questions of any level are good practice. If you are at a point at which you only want to practice only 700+ questions, then these tests would not be helpful. Many people, though would like to think they are that that level, when in fact, studying a broad range of difficulties is what would really benefit them much more: for those people, these tests would be helpful.